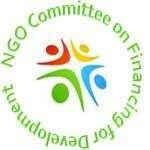 The statement of the NGO Committee on Financing for Development, was submitted to the UN Financing for Sustainable Development Office as a stakeholder input to the 2019 report of the Inter-Agency Task Force on Financing for Development. 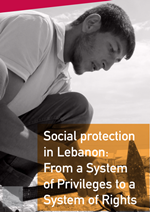 A major part of the statement is about social protection, which is a theme this year in the Commission on Social Development, Commission on the Status of Women, and the Financing for Development Follow-up Forum. Human rights are the departure point for the civil society critique of official policies in Mexico. Mexican civil society organizations demand coherence between the 2030 Agenda and governmental policies in economic and energy matters. They claim that the ongoing reform of the energy sector prioritizes business activities of exploration and exploitation of hydrocarbons over any other activity in the territories and without the necessary safeguards that effectively protect water, biocultural heritage, health of people and communities. As a result of the examination carried out in March 2018, the UN Committee on Economic, Social and Cultural Rights recommends that the Mexican State takes full account of its obligations under the International Covenant on Economic, Social and Cultural Rights (ICESCR) and ensures the full enjoyment of the rights recognized in it in the implementation of the 2030 Agenda at the national level. It also encourages the State to establish independent mechanisms to monitor progress and treat beneficiaries of public programmes as holders of rights to which they may be entitled.